Lynton Lees is a Ph.D student and Kathleen M. Gash Fellow (formerly Richard Hofstadter Fellow) in the field of Modern European history at Columbia. She works on childhood in Britain, Western Europe, and the US in the twentieth century. Her research explores ideas about child development, education, and humanitarianism, and their relationship to the state, the nation, and the figure of the citizen in liberal democratic and fascist regimes. Lynton graduated with a BA Hons (First Class) in History from Christ Church, University of Oxford in 2016. She was a visiting student in the History department at Princeton University in 2014. Lynton teaches in Columbia’s history department. She previously ran the Access and Outreach department at Christ Church, University of Oxford. 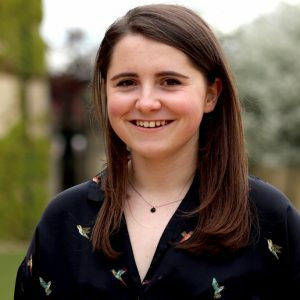 As an undergraduate she founded Oxford First Generation Students, the first society in the UK to support students who are the first in their family to attend university, and represented the organisation in several press and media appearances. She remains passionate about broadening access to higher education and promoting educational opportunity for young people from disadvantaged backgrounds. She is originally from Lancaster, UK.